Brian MacWhinney obtained his PhD in psycholinguistics at the University of California, Berkeley in 1974, working under the direction of Susan Ervin-Tripp and Dan Slobin. In his dissertation, titled How Hungarian Children Learn to Speak, MacWhinney focused on children’s acquisition of complex morphological rules for plural formation. This represented the first in a long line of studies that aimed to provide a comprehensive account of grammatical development applicable to typologically diverse languages. After an initial stint at the University of Denver, Brian has spent his academic career in the Psychology Department of Carnegie Mellon University. 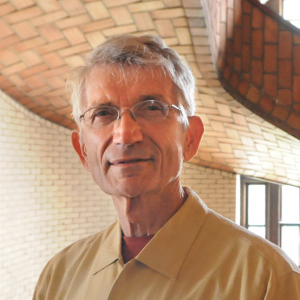 Through decades of original and influential work, Brian has become a significant force in psycholinguistics, both theoretically and methodologically. He has served the linguistic community by creating and curating numerous language databases. He has been a valued colleague, and a mentor to the next generation of language researchers. Academically, Brian stands out in his steadfast opposition to linguistic theories based largely on rules of grammar, neat and orderly, with primacy endowed to syntax over meaning and function. Rather, his theoretical approach to language, developed together with Elizabeth Bates and aptly dubbed the Competition Model, takes a functionalist approach. It views different aspects of language, such as syntax, phonology, semantics, and pragmatics, as deeply and fundamentally interconnected. Under the functionalist approach, linguistic structure is thought to emerge as a consequence of pressures for efficient communication and perspective taking. The Competition Model explains how both children and adult speakers use linguistic cues in a probabilistic weighted manner, with cue strength determined by empirical properties of the input such as cue availability, validity and reliability. The probabilistic framework was a conceptual predecessor to connectionist approaches to language learning and processing. The Competition Model provided a means for examining how speakers of different languages exhibit different patterns of cue usage that could be traced back to quantitative characteristics of those languages. Predictions based on the Competition Model have generated a wave of systematic cross-linguistic studies on languages like Hungarian, German, Russian, Spanish, Italian, French, Chinese, Japanese, and of course, English. Its fundamental principles also explain changes in cue usage over development, as well as cue usage in bilingual speakers, adults with aphasia, children with brain injury, and children with developmental language disorders. Brian is widely known and deeply appreciated by language scholars worldwide for his service. He has been instrumental in driving the movement toward open and freely available language databases and engaging the scientific community in data sharing. Starting with the pioneering work of CHILDES in 1985, Brian, along with initial collaborator Catherine Snow, developed a large repository of child language acquisition corpora and coordinated the work of creating a standardized format for coding and annotation. Brian spearheaded the development of computer programs that have allowed countless researchers and students to easily search and analyze these databases. Brian further broadened the scope of these efforts to include bilinguals, adults, and people with disorders by developing other language databanks such as AphasiaBank and PhonBank as well as numerous others that are now available under the umbrella of TalkBank. All of these databases are continuously expanded and updated, and are an invaluable resource for language research. Personally, Brian is a highly-regarded and respected mentor to his students and post-docs, and a valued collaborator to his colleagues. His influence is broad and international —he has collaborated with researchers from around the world and been invited to serve as a visiting professor in numerous international locations. Those of us who have benefited from his guidance and collaboration are immensely grateful for his sharp mind, kind manner, excellent training and continuous support. * FABBS would like to thank Dr. Roman Taraban, Dr. Janet McDonald, Dr. Vera Kempe, and Dr. Patricia Brooks for nominating Dr. MacWhinney for this honor and for leading the effort. Would you like to honor Dr. MacWhinney? It’s not too late to have your name added to the list of donors! You can make your donation to Dr. MacWhinney’ In Honor Of… campaign at anytime.